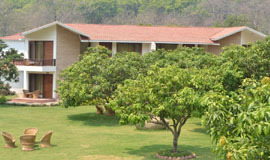 Corbett Panorama resort has a machaan for enjoying panoramic views around. 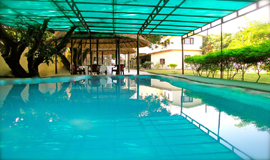 Along with luxury accommodation, the resort has a swimming pool with separate pool.. 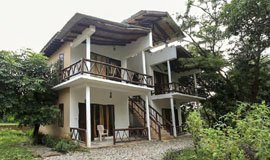 The Cloyster Resort nimbly combines contemporary architecture with the solitude of its surrounding jungles, and its placid ambience. 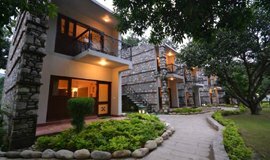 Corbett Resort..
Clarks Inn, a famous name in hospitality sector, introducing a new experience of service with wild habitat and nature in Jim Corbett national park..
Corbett Leela Vilas is located at Dhikuli. 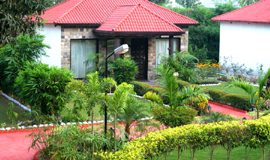 The luxury Resort near Corbett National Park that includes all modern amenities and lush green plantation. 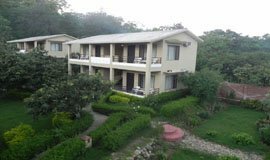 La Perle River Resorts" is a beautiful resort located in Dhikuli village right on the bank of river Kosi of Jim Corbett National Park. A perfect combination of Wilderness, Nature & Luxury. 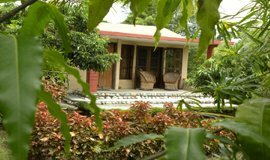 Suman Grand spreads over an area of 1.5 acres and is barely a year old - the upside being that it is in good shape, the staff attentive and the rooms well kept. 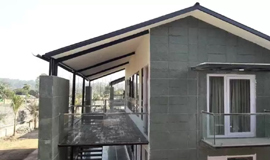 Right in the heart of nature with a forest scenery, Casa FFCorbett gives an uninterrupted panoramic perspective of the Corbett fields. We at Serenity seek to provide you with an ultimate jungle experience at Corbett - a rendezvous amidst nature, taking special care to keep harm out of Mother Nature's way. 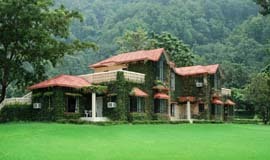 You drive through winding roads and dense forests, climbing up the Shivaliks, to reach Corbett Ramganga Resort. 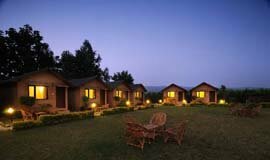 The magical call of the wild is answered at Country Inn Corbett, a luxurious and an eco-friendly jungle resort adjoining the famous Corbett National Park. 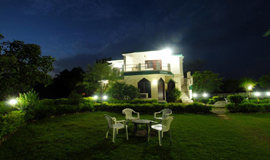 Welcome to Corbett County - Your Home Close to Nature located on the fringes of the Jim Corbett National Park. 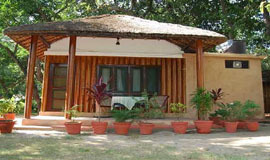 Come and experience wildlife and nature in true sense at Corbett Machaan Resort. 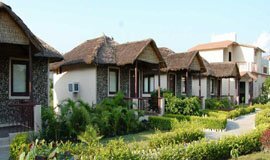 At Corbett Machaan, we offer an authentic jungle experience with luxury..
Kamya Resort stands out for its home like elegance along with the wilderness of Jim Corbett national Park. 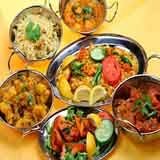 We offer you an opportunity to get all the comforts.. 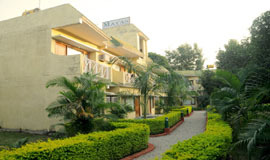 Exploring the Jim Corbett National Park, Corbett fall and Famous temple of Maa Garjiya Devi entitle Allseasonsz.com with the luxurious ,deluxe ,budgeted Corbett hotels Resort with homely touch. 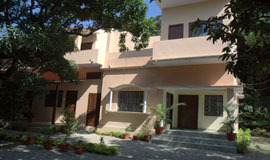 Corbett hotels are spread crosswise over in Jim Corbett National Park regions of Dhikuli,Dhaila Village,Mohaan,Ramnagar and adjacent spots of Kotabagh,Kaladungi etc.The accomodations inside Corbett Park are own and oversaw by park administration and one can get their reservations from the Corbett park office reception.Hotels in Corbett are intended to offer vacationer continuous perspective of greenry, wildlife that Corbett park is well known for and major Corbett resorts offers Jungle Jeep Safari, Elephant Ride,Trekking, Bicycle Ride in their Hotel bundles. 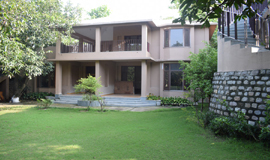 Among all zones Dhikala zone is the highlight of the Jim Corbett national park. In this assigned center region, most elevated grouping of the creatures are found. It's exclusive open from 15 November to 15 June and available just either to overnight visitors or for a day visit by means of Jeep Safari. Jhirna zone - the southern part of the store, is the main zone that remaining parts open all year. 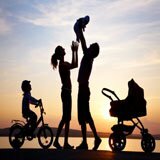 Through allseasonsz.com you can book good Corbett hotels online in advance, available in affordable rates and prices.Use the links in the list above to cherish the accommodation of your choice. 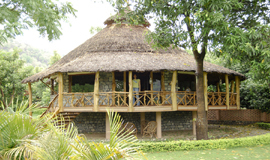 In actual there are 325 hotels in Corbett / Jim Corbett National Park reviewed by the travellers. 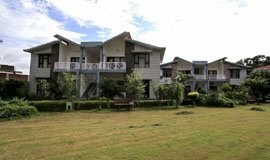 The most popular Corbett hotels are Corbett Mango Bloom Resort,La Parle Resort, Corbett Lila Vilas, Corbett Adventure Resort, Le Roi Resort, Safari Park Resort, Tiger Den Resort, United 21 Resort, Corbett Kingdom, Corbett Jungle Club Resort. 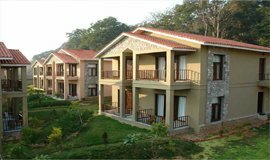 Falcon Nest Resort, Corbett Wild Iris Spa & Resort, Aahana The Corbett Wilderness, Camp Riverwild Resort, Corbett Hideaway Resort, Club Mahindra Resort, Corbett Blue Sky Hotel & Resort. 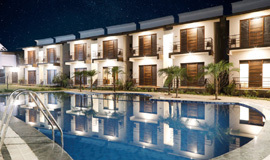 The lowest available tariff for Corbett hotel deals are available at Rs.900. 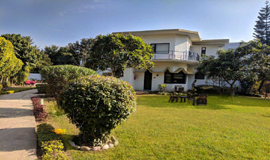 You can search for Corbett Resorts (89) Corbett Hotel (225) Corbett Self-catering/Villa/Cottage (54) Corbett Tent/Camp/Caravan (36) Corbett Home Stay (10) Corbett Guest house/Hostel/Lodge (22) Corbett Boutique hotel (9). 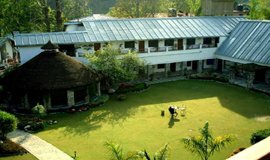 There are wide range of hotels in Corbett for groups,kids,families,friend,nature lover,for weekend break and mainly for honeymoon couples,as Corbett is considered one of the best honeymoon destination of Uttarakhand. 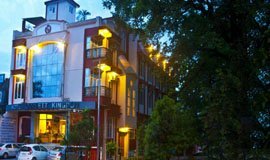 Corbett Hotels-Where You Want To Stay? 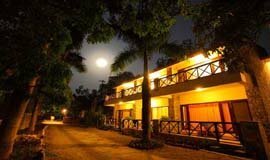 Jim Corbett National Park, set up in 1936 with the name Hailey National Park and renamed as Ramganga National Park in 1952, got its present name in 1957 after Jim Corbett, the celebrated naturalist and picture taker. This is India's first national park and certain the most appealing Park in India. 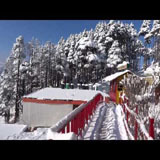 The Park is put in the foothills of the Himalayas, amidst rich greenery and uneven mountains with fluctuating statures, running from around 1300 feet to about 4000 feet. 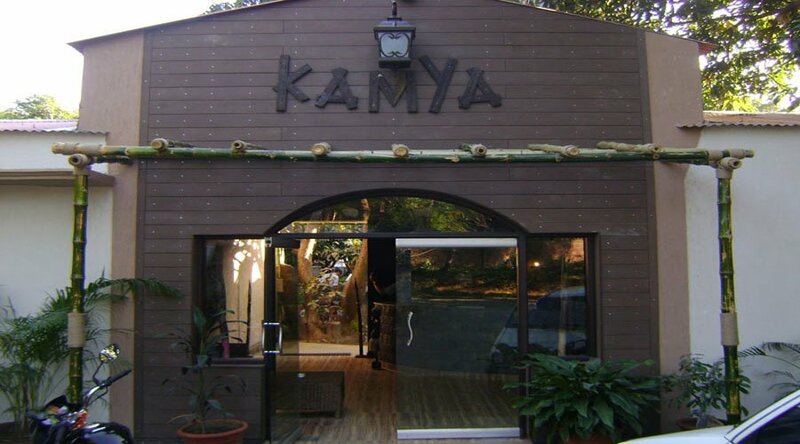 It is trusted that the spot, generally lying on the banks of Ramaganga River, has thrived an antiquated human progress. 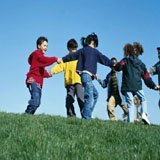 The principle fascination of travelers and natural life fans to this Park is that the great perspective of Tiger with all its wildness in this Park. This park is a natural habitat of the uncommon types of Tigers that are facing extinction. 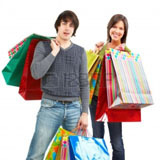 It is a spot draws immense vacationer inflow and offers fantastic touring. 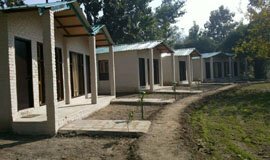 The base camp of Project Tiger, Ramnagar is a decent place to remain. 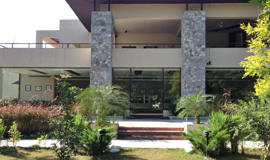 Among the 19 three star hotel in Corbett the most popular one are The Hridayesh Wilderness Resort,Corbett Blue Sky Hotel & Resort,Club Mahindra Resort,The River View Retreat,Tiger Den Resort,Corbett Gateway,Corbett Hideway Resort,Le Roi Resort.Among the thirteen 4 star hotel in corbett the most popular hotels are Solluna Resort,Corbett Adventure Resort,United 21 Resort,Corbett Mango Bloom Resort. 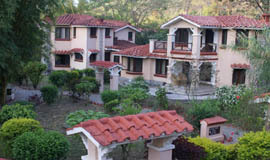 There are many Luxury hotels in Corbett which are priced above Rs. 5000. 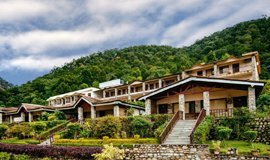 Tariff for Corbett hotels starts from 3000 and goes to 8000,charged by Corbett luxury hotels it can also hike in summer season. 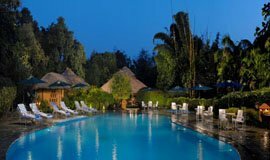 Luxury hotels in Corbett include premium amenities like jacuzzi, bathtubs,sauna, swimming pool, massage services,fitness centre or gym, restaurant, bar/lounge,Wi-Fi, dry cleaning services, valet parking, dry cleaning services, banquet hall and conference rooms for business meetings. 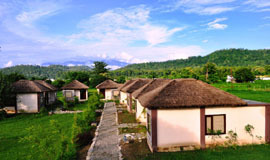 There are 35 Budget hotels in Corbett which are priced below Rs. 3500. 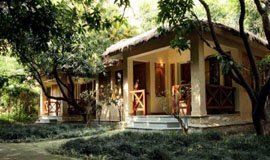 Tariff for hotels in Corbett starts from 800. 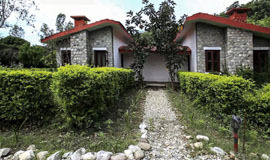 Cheap hotels in Corbett may provide basic amenities like a colour TV,private bedroom, Telephone, 24-hour front desk,AC, security and housekeeping staff on call. These hotels are affordable and value for money. 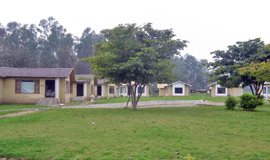 Corbett National Park is famous for its rich flora and fauna. 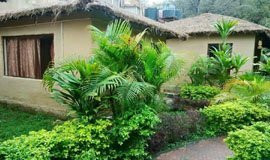 Additionally the wild creatures, reptiles and winged creature with numerous assortments of species enhance the Park and it is safe house for fledgling watchers, untamed life lovers, earthy people and nature significant others. 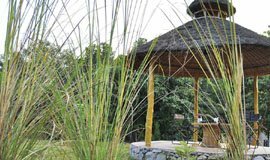 Extremely rich in vegetation, on the off chance that we take insights there are about more than 51 various types of bushes, more than 30 sorts of bamboos and more than 110 distinct types of trees, apart from the greenish grass seen only in meadows. 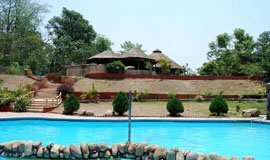 The Park, eminent for the majestic leopards and elephants, caters for the life of numerous uncommon types of well evolved creatures, fowls and reptiles, more than 25 types of reptiles, 585 sorts of feathered creatures and more than 50 assortments of warm blooded animal species. In the event that one is intrigued he can enjoy energetic with deers, seen in Corbett National Park, woofing deer, spotted dear, sambar, chinkara are a portion of the various types of species found in the Park. Another significant fascination here is the amphibian reptiles; various types of crocodiles can be spotted here. Corbett National Park is truly a value characteristic park to visit, to see the nature's assortments and excellence. This is a recreation center first among equivalents. 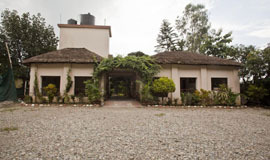 Tourists visiting Corbett can also plan a trip to Kashipur, which is approximately 59.6 km away. 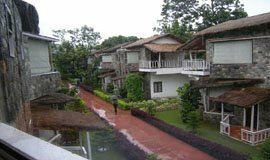 This hill station is home to a number of attractions, including Atariya Temple, Giri Sarovar, Govishan Fort,Drona Sagar,Maa Baal Sundari . 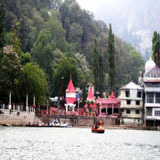 Apart from visiting Kashipur, travellers can pay a visit to Ramnagar, which is famous for Garjiya Devi Temple. 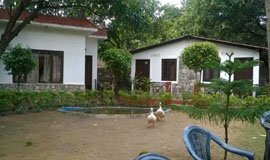 The atmosphere in the Corbett National Park is calm through the year but the best time to visit the national park is from fifteenth November till as amid that time all the regions of the park are open for public.